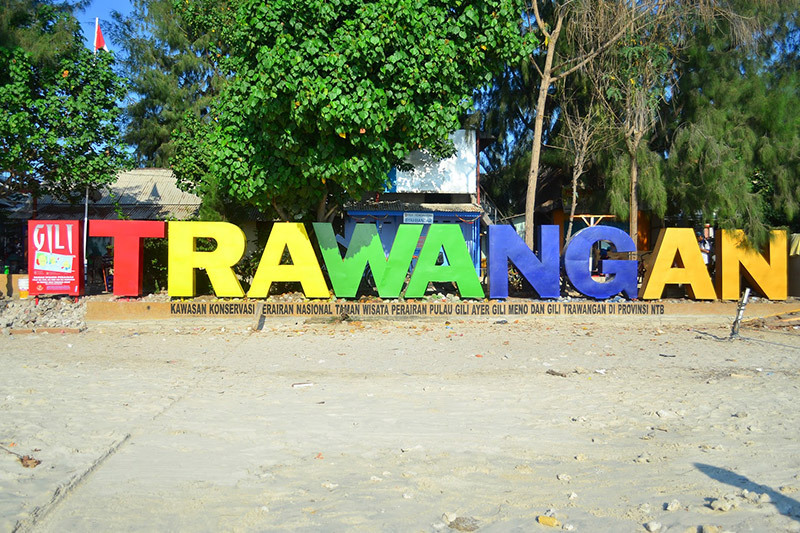 Gili Trawangan is the largest of the three Gili islands located north west of Lombok. For decades, travellers have made the hop from Bali and Lombok for a dip in the turquoise-tinted, bathtub-warm waters of the irresistible Gili Islands and stayed longer than anticipated. Perhaps it’s the amazing diving with reefs teeming with sharks, rays and reasonably friendly turtles? Or the snorkeling? Maybe it is the serenity that comes with no motorised traffic? Or it could be the that Gili Trawangan has got accommodation for all level of budgets. 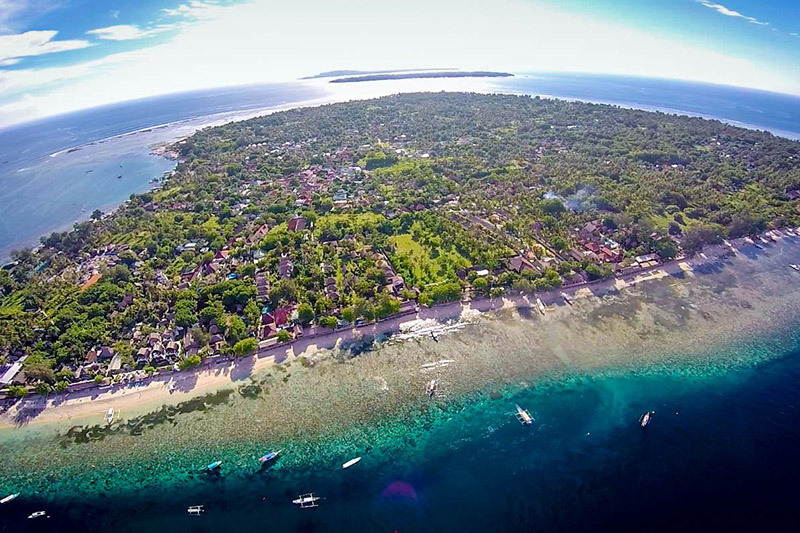 Gili Trawangan is in general very relaxed and laid-back with countless little beachside cafes, restaurants and bars serving a variety of tastes in local and international cuisine. Best of all, there are no cars or motorbikes to disturb the peace. While previously most people came as backpackers to dive, snorkel and party, now a wider spectrum of visitors including families and couples are enjoying the island. The focus remains on the beach and in the sea. There are also many options to wine and dine, visit a spa or hang out and meet new friends. Your days will be marked with scuba diving or snorkeling around the island’s warm waters, rent a stand up paddleboard (sup) or a kayak and go across to the other islands, read a book, hang out and meet new friends, yoga classes, lunches at local warungs, do internet, rent a bike or go horse riding around the island. Go to a sunset bar and have a drink while the sun sets behind Agung volcano in Bali. There are plenty of fun bars. Both loud party bars and quiet and chilled. It’s up to you. Breakfast, Lunch and Dinner! You can eat for from 15.000IDR for a plate of mixed rice from a local warung to 130.000IDR for a fantastic steak in a beach front restaurant. This island really does cater for everyone. Come and enjoy!